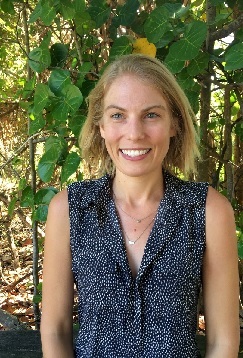 Carrie is an archaeologist with a focus on maritime connections in the ancient Mediterranean, especially the contextualization of shipwrecks in the ancient economy. Her current book project, Nautical Networks: Cultural Exchange and the Roman Economy, examines the cross-cultural circulation of raw materials, finished objects, and people across maritime networks in the ancient Mediterranean (ca. 200 BCE-200 CE). In her prior archaeological fieldwork, Carrie has participated in the underwater excavation of a first-century BCE shipwreck in Turkey and underwater surveys in Cyprus. She has also co-directed an excavation of a ship at the World Trade Center in Manhattan, New York. Her current archaeological project is an underwater survey along the south-central coastline of Cyprus. Carrie’s research interests also emphasize the development of digital technologies for recording and analyzing maritime data. Fulton, C., A. Viduka, J. Hollick, A. Woods, A. Hutchison, D. Sewell, S. Manning. (2016). “Use of Photogrammetry for Non-Disturbance Underwater Survey: An Analysis of In Situ Stone Anchors.” Advances in Archaeological Practice 4(1): 17-30. Sewell, D., C. Fulton, A. Viduka. (forthcoming). “Interaction, production, and exchange in Late Bronze Age Cyprus: The case of Tochni Lakkia.” In IWUKA V, October 15-19, 2014, Cartagena, Spain. Museo Nacional de Arqueología Subacuática: Cartagena, Spain. Carlson, D. N. and C. E. Atkins (Fulton). (2008). “Leaving No Stone Unturned: The 2007 Excavation Season at Kızılburun, Turkey.” INA Annual 2007: 22-28.